If you’re looking for boots that provide you with maximum protection, you cannot go wrong with our rigger boots, here at PPG Workwear. 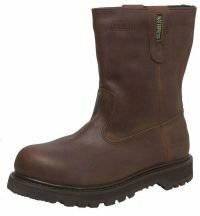 The rigger boots UK that we supply are perfect for preventing any hazards from arising, especially when it comes to working in potentially dangerous environments. From our collection of rigger safety boots, you’ll find the Hoggs of Fife, Samson and JCB safety boots, each offering something unique. 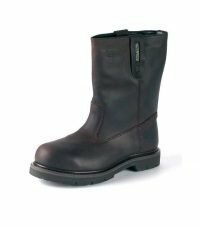 As with any of the safety boots we supply, our rigger boots are durable, making them suitable for the winter months and any construction environment. In terms of comfort, our rigger boots UK are exactly what you need. The rigger boots are lined to provide additional comfort and support, allowing you to keep your feet dry and warm. Additionally, the rigger safety boots we supply at PPG Workwear combine comfort with performance, allowing you to receive the best value for money. At PPG Workwear, you have a choice of colours and sizes to choose from, we are confident you’ll find something suitable! Check out our range of affordable rigger boots here today, we provide safety boots for an array of budgets!